You are currently browsing the tag archive for the ‘based on the novel’ tag. It looks like Oscar season is officially upon us, and Ben Affleck is more than ready to prove that Gone Baby Gone wasn’t just a one time fluke. 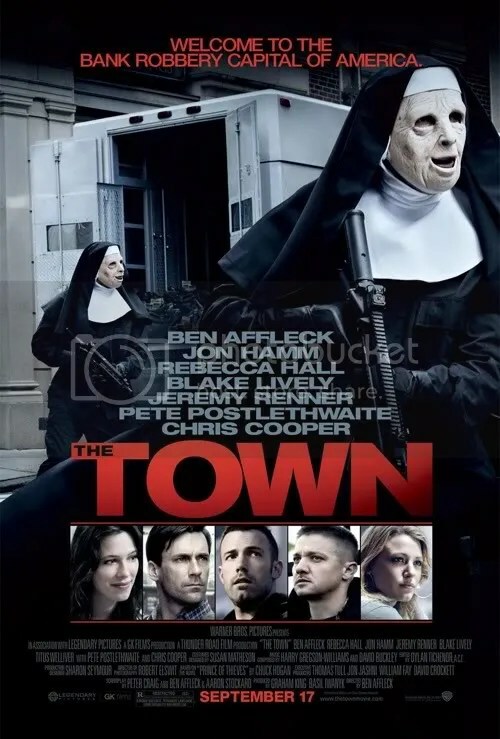 With The Town, he not only proves his point, but also manages to somehow make an even better movie at the same time, which is an impressive feat since he added actor to his already long list of duties on this film. I will admit that I’m not the biggest Ben Affleck fan. And, I have made my fair share of jokes about him writing, or lack there of on Good Will Hunting. But, I must say he’s proving himself to be one heck of a director. Gone Baby Gone was a nice simple story with some outstanding performances, but The Town is stepping it up in more ways than one. 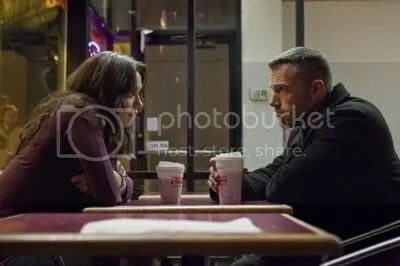 Once again set in the gritty real world of a Boston borough, bank robber Doug MacRay (Ben Affleck), a second generation criminal, finds himself capturing a glimpse at an honest life; ironically thanks to the help of his last victim. In an uncharacteristic move, Doug’s team takes a young bank manager, played by Rebecca Hall, hostage, only to release her moments after their getaway. It’s not until later that they find out that she’s a local, living in their neighborhood, and might just possibly be able to identify them after the fact. The hot tempered and violent member of the group, brilliantly played by Jeremy Renner, would like to just simply kill her. But, Doug wants to see if she knows anything first, and puts himself in a position to befriend her. As you can guess this is where things get complicated. Unlike Gone Baby Gone, the story this time around is much more multi-layered. There are multiple relationships being explored here, as well as some fantastic action sequences, which is an impressive addition to Affleck’s directing résumé. The movie also has an outstanding performance from Blake Lively, as a drugged out ex-girlfriend of Doug’s. I wouldn’t be surprised to see an Oscar nomination come her way for this role. I wasn’t familiar with her work on Gossip Girl, but when I found out that that was her in this movie, I was blown away. Some might say it’s a little heavy handed, but I think Affleck has a real knack for getting these gritty performances from his actors. 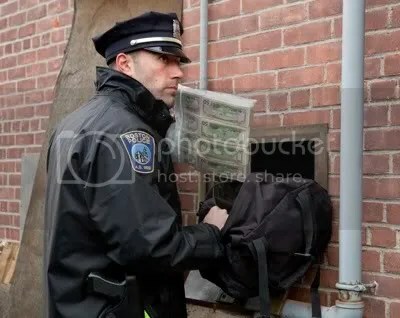 To top the whole thing off, we also get one hell of a finale, as Doug and his crew attempt to pull off one last job, and steal from the cathedral of Boston itself, Fenway Park. I’ve got to tell ya, I grew up just outside of Boston, and have been to a many a game in that beloved park, and this was definitely a highlight for me. To see a heist movie sequence shot in the actual substructure of Fenway was amazing! I can only imagine that it was a dream come true for Affleck to shoot as well. I really can’t wait to see the behind the scenes footage of that shoot, on the DVD. I never thought I’d be saying this… But, Ben Affleck is proving to be one hell of a director.